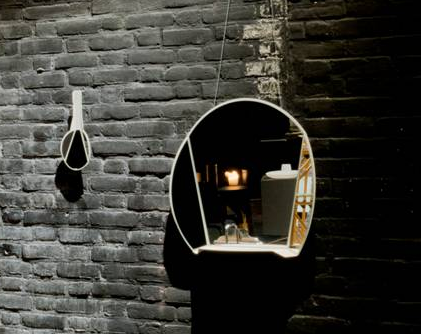 The Split Mirror wall mirror is a mirror that combines elegance and practical use. It shows you 3 sides of yourself, every time from a different angle. Thanks to the 3 mirror sections, that are all in a different angle. You're once, twice, three times a lady. 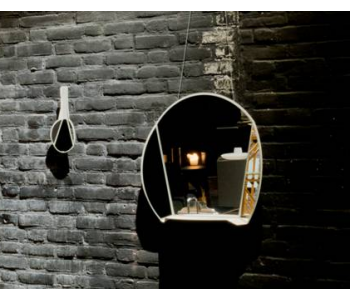 The shape of the elegant Spit Mirror wall mirror, is also present in the Split Mirror hand mirror. Together they form a nice duo.